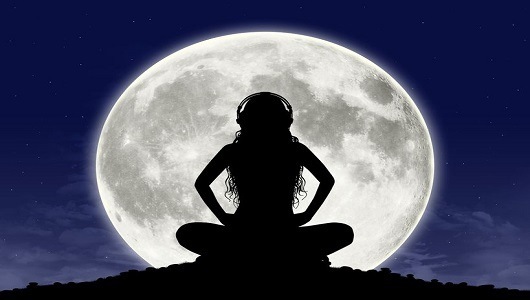 Do binaural beats help to achieve a deeper state of meditation? Can they help to achieve a better state of focus? If you perform an internet search on binaural beats, you’ll find a variety of answers to these questions. Some report that brainwave entrainment products, which include binaural beats, are extremely effective. Personal reviewers report experiencing faster sleep, better focus at work, and meditation that is more effective. Others report that the idea of using binaural beats is just a hoax that binaural beats don’t work – that the technology being discussed here is just a scam to deprive people of their hard-earned money. How music connects with the brain. You will find out how music and the brain create a unique relationship together that can be personally beneficial. How binaural beats were first discovered. Binaural beats are not a scam. It is a concept that was discovered more than a century ago. More than 40 years of clinical research has studied these sounds. The clinical research which feature binaural beats. You can take a look at the reference studies on your own to determine their validity as part of your research. If binaural beats are safe to use. You will be able to find out if the use of binaural beats is safe for you or if it could be dangerous to your health. How to use binaural beats successfully. You will discover the techniques which will help you maximize the benefits of binaural beats and how it can change your life. Why isochronic tones are included with binaural beats. You will get to see why the combination of these two sound concepts creates a unique state of mind when attempting to reach a specific goal. 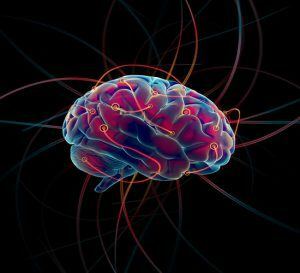 The long-term benefits of binaural beats. You will get the chance to explore the various benefits that binaural beats may provide when used for an extended time period. Binaural beats designed to meet your specific needs. You will find here binaural beats for sleep, studying, concentration and focus and also for stress, anxiety and meditation. With content available that supports the use of binaural beats, combined with content that suggests it is a hoax or scam, it can be difficult to know who is telling the truth. To answer these questions, we must examine the science behind binaural beats. We must look at the connections formed within the brain by music and sounds. Then you can decide for yourself if binaural beats really work or if they are something that could be dangerous. 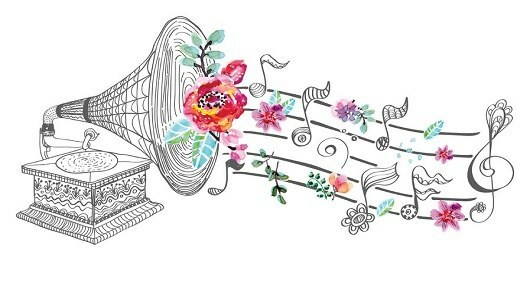 We rely on music to get us through a day in multiple ways. Some people use music as part of their daily commute to work. If a favorite song comes on, they might turn up the radio and sing along with the song. Why? Because the music inspires feelings of happiness. You will often find people listening to music when they have a difficult task to complete. Washing dishes, doing the laundry, or working on a tough project at work feels better when there is music available. That is because there is a direct connection between mood and music. Music can help us feel like we have more energy. It can help us to relax. It can even cause us to feel sad. Even different types of music can create different brain responses. Classical music is known to create or enhance feelings of comfort. Rock music is known to create energetic feelings. 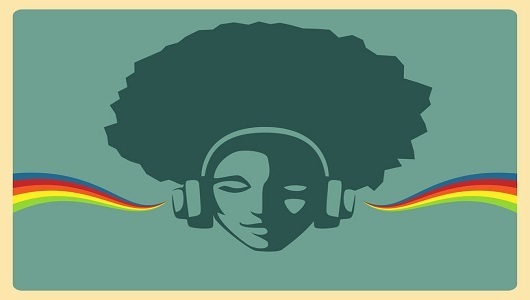 Music can even increase the personal pain threshold of an individual. If music has such an effect on the brain, then it is clearly strong enough to have a therapeutic effect. The effect is so strong that individuals diagnosed with an autism spectrum disorder are influenced by its presence. Even if an individual is unable to verbalize feelings, socialize with others, or live independently, music allows for a different way to express emotions. “You couldn’t tell the difference between people who were interacting through music and people who were interacting verbally,” says Edward Roth, Professor of Music Therapy at Western Michigan University, as reported by The Guardian. Music provides us with an opportunity to express ourselves with a different context. We get an opportunity to develop deeper, self-reflective relationships. That indicates music is an emotional language we use to communicate with each other. Even if a song contains lyrics, the brain processes non-verbal language cues to create psychological growth and enhanced self-expression. If we were to have control over those results, then we would have an ability to alter a mood on-demand. We could change our perspective on what happens to us each day. We might even be able to use music to heal. This power, when it includes binaural beats, is something that even medication manufacturers are embracing. Bayer, the manufacturer of Aspirin, have included information about binaural beats on their website. Research on binaural beats has shown that human hearing systems could analyze time differences within specific frequency ranges when played in different ears. For most people, a variation of just 5hz is enough to produce the binaural beats effect. When this variation is present, the binaural beats create a different experience for each person. Some describe the process of binaural beats as a “clicking” sound that is heard within the brain. It might also feel like a pulsation that you physically feel in your head. Others have described the experience as something similar to a drumbeat. In 1973, researchers focusing on alternative medicine rediscovered the science behind binaural beats after its initial discovery more than a century before by Heinrich Wilhelm Dove in 1839. It was discovered that the human brain can distinguish a differentiation of 30hz or higher as coming from two different sound sources. That meant a binaural beats program could be effective only if the variation between the two sounds being heard is 30hz or less. This technology was immediately implemented as a diagnostic tool because individuals with Parkinson’s disease are unable to distinguish the differences in frequency, no matter what oscillation is used. 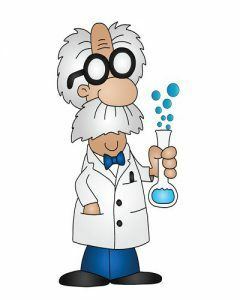 Then Robert Monroe discovered productive effects could be generated with a 4hz difference in the binaural beats. That began the rush to produce brainwave entrainment products that could offer specific benefits. Click here to learn more about how binaural beats work. There are several clinical research studies which have looked into potential binaural beats benefits. Here are some of the studies and a brief review of the conclusions reached in each one. Researchers at Laurentian University in Sudbury, Ontario performed a blind study on individuals who were experts in meditation techniques. They discovered that when binaural beats have a 7hz difference, the positive effects created through meditation can be enhanced. The team at Laurentian University also discovered that a difference of 15hz or greater could decrease the effectiveness of meditation. A 2015 study into Auditory Beat Stimulation researched a total of 920 articles regarding binaural beats and auditory stimulation discovered that significant changes can occur within the gamma frequency bands. The team also discovered that changes can begin to occur in as little as 5 minutes. A study published in the May 2015 issue of Front Psychology found that auditory beat stimulation could reduce feelings of anxiety. The authors of the study reported a 26.3% decline in anxiety scores when using auditory beat stimulation compared to a 11.1% decline with a placebo. Researchers also found that using binaural beats created decreases in mood disturbance, tension, confusion, and fatigue. The Monroe Institute reports that a 1998 study, originally published in Physiology and Behavior, Vol. 63 No. 2, that auditory beats can impact a person’s vigilance, performance, and overall mood. After listening to binaural beats, a 30-minute task was completed by each study participant. 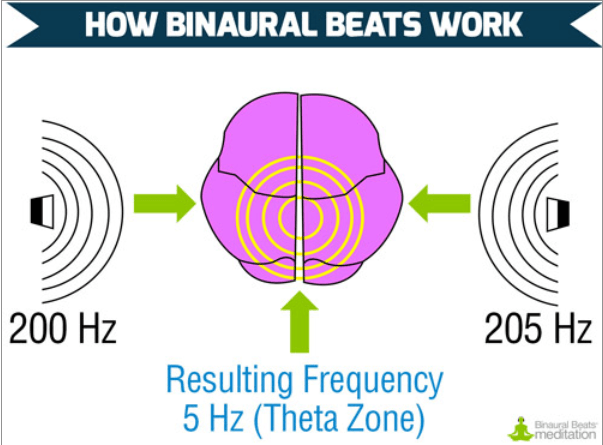 When participants were exposed to beta-frequency binaural beats, they were able to detect significantly more targets compared to delta-frequency and theta-frequency binaural beats. Psychology Today reports that binaural beat therapy is being used in clinical settings today. They can induce various brainwave states, offer a drug-free treatment for anxiety, and provide insights into a person’s sleep cycle. According to DARA Thailand, binaural beats can be used as a tool to treat those recovering from the symptoms of alcoholism. Binaural beats can reduce the effects of insomnia during the recovery process, set the stage to begin a habit of meditation, and provide emotional stability. They are also shown to reduce the amount of negative self-talk created during the recovery process. It may even help to counter post-acute withdrawal symptoms, which may last for up to 2 years after treating alcoholism. With regular exposure to brainwave entrainment products which contain binaural beats, people struggling with alcoholism experience stability with their endorphin levels. This stops the destructive cycle of alcohol and increases the likelihood of a successful transition away from this disease. The clinical research regarding binaural beats notes that different oscillation levels, created by frequency variations, offer improved mental states. Variations of 4hz or under help to promote better sleep. Variations of 5hz-7hz promote enhanced relaxation and improved meditation. Variations of 8hz to 13hz can help induce a pre-meditative state or improve personal body rhythms. Any variation above 13hz promotes higher levels of mental focus and improve personal energy levels. Although improvements can be seen in just 5 minutes of binaural beats exposure, maximum results may require a session of up to 30 minutes. Are Binaural Beats Safe? Are There any Dangers of Using Binaural Beats? Binaural beats are considered to be safe for most individuals. There are certain individuals who should avoid using binaural beats unless their doctor has recommended their use. Anyone who has experienced seizures, has been diagnosed with epilepsy, or requires a pacemaker as part of their treatment plan should not use audio elements containing binaural beats without seeing professional medical advice. Women who are pregnant should also speak with their OB/GYN before using binaural beats. Being under the influence of illicit drugs and using binaural beats is not recommended. Anyone who is operating heavy machinery, or is driving, should not listen to binaural beats until the activity is complete. There are ways, however, that individuals could turn binaural beats into a potentially dangerous product based on personal use. No brainwave entrainment product should be enjoyed at a volume above 85 decibels. Prolonged listening sessions can cause certain side effects such as headaches in some individuals, especially if the program is at a loud volume. Listening to binaural beats with a pair of stereo headphones over a long time period can create compression discomfort around the ears. That is why the best time to use binaural beats is when you have a quiet moment at home. Give yourself 30 minutes of time, make yourself comfortable, and you will reduce these risks. Binaural beats are a natural phenomenon which occurs within the mind. It is a perception, nothing more, of the different frequencies being heard. You hear different sounds at varying frequencies throughout each day. These sounds all produce different audio waves that are detected by the brain. Lower frequencies have longer wavelengths, allowing the brain to distinguish them from the shorter waves of high-frequency sounds. Binaural beats create a focus point for the brain. Instead of being distracted by the surrounding environment, the frequencies being heard direct your attention in specific ways. You do not need to use any special equipment to benefit from a binaural beats program. You can listen to binaural beats through any audio device. Stereo headphones may enhance the effects experienced for some individuals. Then allow the sounds to work for about 5 minutes. You’ll begin to feel the intended effects, based on the frequency variation being used. As you listen to the product, your brain begins to form new neural pathways which support the intended activities. If your goal is to be more focused on a specific task, then you should be able to retain more information and recall it better over time. You could say that binaural beats are like a set of noise-cancelling headphones for the racing thoughts your brain likes to create. Isochronic tones are a single tone produced by a single note. Think about the keys of a piano. Each key is specifically tuned to play an exact note. Now think about pressing one of those keys with the sustain pedal pressed. The note sustains itself until the struck string stops its vibration. That’s what an isochronic tone does in a brainwave entrainment product, with one key difference: these tones don’t fade. It is a solid, pure tone that is produced at regular intervals. Isochronic tones are used with binaural beats frequently because they encourage the brain to focus on frequency variations. The sound is immediate. It forces the brain to focus on the tuned sound of the tone being played. When that action occurs, the brain evaluates the other sounds it hears at the same time to process the information for you. It is through this act of processing that the binaural beats are detected. Can Any Sound Produce Binaural Beats? In theory, any sound can produce a binaural beat. To do so, the tone being produced must be issued at a pure, uninterrupted frequency. That is why other sounds rarely produce a binaural beats effect. There are natural interruptions which occur in the environment which will change the purity of the tone. Even tones produced on a musical instrument, such as a synthesizer, encounter this effect. Once you begin manipulating the waveforms of soundwaves, the oscillation matrix purity is reduced. We can still produce harmonic waves and frequencies. We create reverberation through these sounds that can feel like a beat. That reverberation is often felt internally, just like a binaural beat is felt. These beats do not create the tuning effect that a brainwave entrainment product creates with binaural beats. You can feel the beat. You just don’t experience it in the same way. 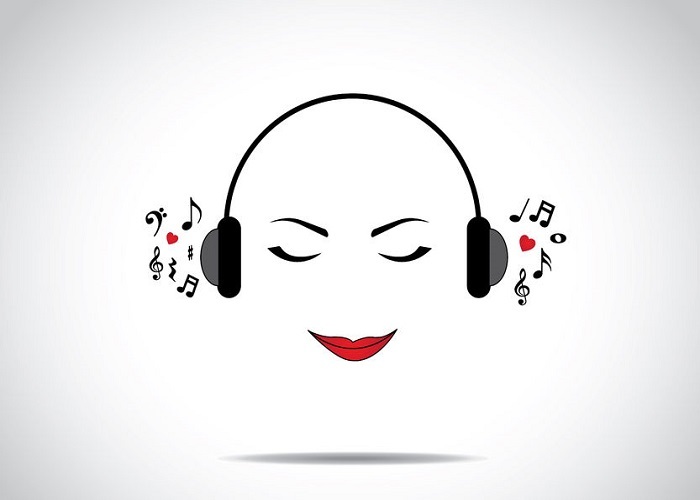 Do Binaural Beats Create Long-Term Benefits? Binaural beats are often used for their short-term benefits. You might listen to them while studying, working on a tough project, or to transition yourself into a time of meditation. There are long-term benefits to consider when using binaural beats too. The audio combinations found in brainwave entrainment products allows the brain to form connections that create open lines of communication within it. These lines of communication are always present, even without binaural beats. They are simply less efficient without them. 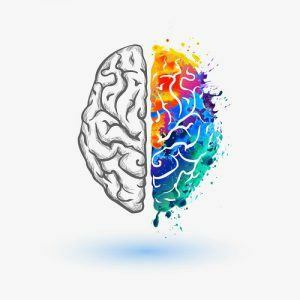 Binaural beats improve this efficiency because it creates more networks that cross the corpus callosum, which is the bridge between the two hemispheres of your brain. Think of the corpus callosum as a river that must be crossed. If you build one bridge, then you have created an infrastructure which allows for information to cross from one side to the other. One bridge creates a slow process of communication. Imagine how fast information could move if 5 bridges were built instead of one. That is how binaural beats provide their benefit. They maximize the potential of your brain. There is no available research that has currently looked at the long-term benefits of binaural beats, however, which means it is up to you to determine validity here. Most studies have looked at the benefits of binaural beats from a 60-day or 90-day perspective. We can, however, look at the long-term benefits that music therapy provides to individuals with an autism spectrum disorder diagnosis. In a 52-week study of children with severe autism, there were significant improvements made on the Clinical Global Impression scale and the Brief Psychiatric Rating Scale with interactive music therapy. Although music therapy may not always relieve some of the symptoms of autism or another mental disorder for some, there are still improvements with communication. Those standards may not transfer over to the long-term benefits of binaural beats. More research is needed to determine its validity over a time period of 1 year or more. For short-term benefits, binaural beats have enough research backing to consider it an effective solution to create specific results. 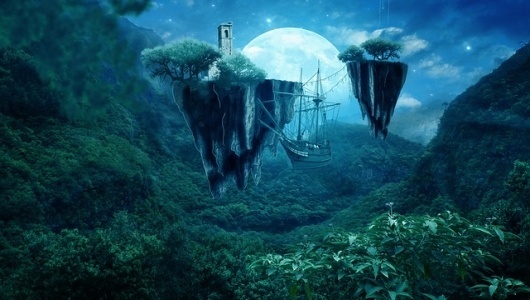 Do Binaural Beats Help with Lucid Dreaming? One of the best ways to trigger a lucid dream is to fall asleep while repeating a certain thought repetitively. Binaural beats can help you achieve this effect. The problem which many have with lucid dreaming is that they do not progress into and out of a dream state fast enough to remember the events that occurred in the dream. To remember a lucid dream, you must wake up directly from the dream. Then you must make a note of the dream to keep it available for recall. Try keeping a dream journal next to your bed. If you wake up from a dream, write down what you remember immediately. Binaural beats help to put you into a dream state quickly because they eliminate the racing thoughts, to-do lists, and environmental sounds which may keep you awake. Gentle sounds help to further relax the body. Along with binaural beats, set an alarm clock to rouse you out of your dream in the middle of the night. If you don’t remember the dream, reset your alarm, play the binaural beats again, and make another attempt. Most people can achieve their first lucid dream using these basic methods within the first 3 weeks of trying to have one. If you’re interested in lucid dreaming try out Claridream Pro and see if it works for you. Below you will find binaural beats options which are designed to meet your specific needs. Could Binaural Beats Work for You? Because binaural beats work on an individualized level, some people may experience tremendous benefits from their use. Others may experience little, if any, benefit from listening to binaural beats. It may take a few minutes for some people to experience the effects of this technology. It may take a few days for the benefits to start sinking in for others. There is no definitive timeline. As a general practice, however, if you have not experienced any benefits from binaural beats in 7-14 days of use, then that specific program may not be beneficial for you. Binaural beats may be less effective if you use them frequently. They also have a reduced effectiveness if you attempt to use them for a specific and immediate outcome. Do binaural beats work? Yes. They are a clinically-proven tool that can be used in multiple ways for your personal benefit. They can help you get to sleep faster, stay asleep longer, and enhance meditation outcomes. Binaural beats may also improve your focus, concentration, and productivity. The only way to determine if binaural beats will work for you is to try a program designed to tune your brain in a way that you require. Then you’ll know if binaural beats will work for you. Click here and try out some of the most powerful binaural beats on the market. Adaptogenic Herbs (aka Adaptogens): What Are They and What Are Their Benefits?